Hello and welcome back to another edition of the WCU PodCats Podcast. This week we take a look at some of the most important people to know on-campus, from Brian Boyer to Chancellor Belcher! 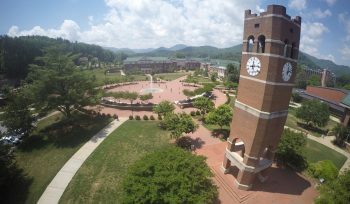 This list contains some of our all-time favorite Catamounts and we hope that current and future students get to know them and that alumni and family friends will remember their time interacting with these great people fondly. Make sure to connect with us in the comments, on Facebook (WCU Podcats), on Twitter (@WCUPodcats), or on iTunes by downloading, rating, and subscribing to the show. We look forward to hearing from you soon and as always… Go Cats!